Join us August 6th - 10th for Youth Week activities! It's brought to you by Pee Wee Penguin's Youth Saver's Club. Each year, FCCU celebrates Youth Week to encourage saving among our youth and the importance of proper money management. 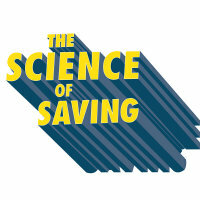 This year, the theme for Youth Week is 'The Science of Saving'. Each branch location will be holding events and activities. Kids, make sure to join us so you can receive your idea journal and pen! *Maximum amount received $25. Offer ends 8/10/18. Restrictions and exclusions may apply.